Kidneys beans or any type of beans for that matter is a very good way of balancing blood sugar related to cardiovascular diseases. I chose kidney beans because it’s widely available and more people are familiar with it. One cup of kidney beans provides about 45 % of the daily recommended intake of fibre and when combined in the digestive tract, it becomes gelatinous which combines with excess bile and carries cholesterol through the intestines for further elimination. Beans are very versatile and can be used as a side dish, as a main course or either in a soup or salad. Other built up toxins and bacteria in the body also gets eliminated through the process due to the high percentage of soluble fibre content in this recipe. Place the beans in the Crock-Pot and cover with fresh filtered water. 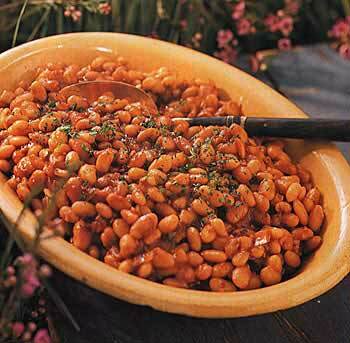 Put the lid on and cook on low heat for 4-5 hours or until beans are tender when you poke them with a fork. Timing varies depending on your Crock-Pot. Nutritional Value: soluble fiber all star, high in iron, excellent source of molybdenum, very good source of folate and manganese. Very high source of protein, thiamin (vitamin B1), phosphorus, copper, magnesium potassium and vitamin K as well. Blackstrap molasses is also very high in iron.